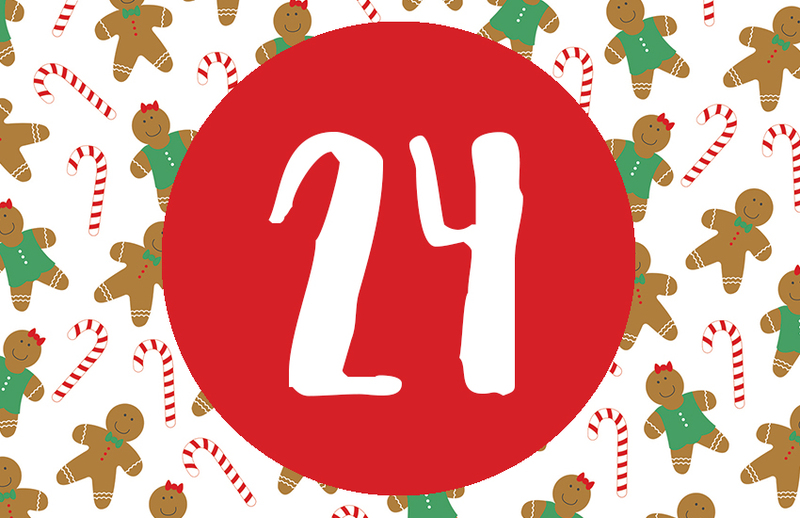 As we head towards New Year’s Eve, we thought we’d share this super fun template with you for Day 24 of our Advent Calendar. 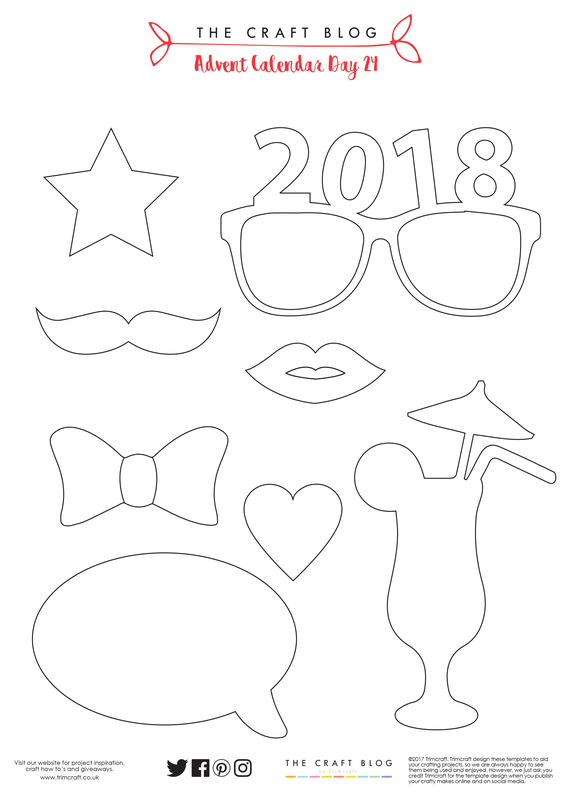 New Year’s Eve is all about creating memories, taking photos and having a great time, which is why our free party props download is a New Year celebration essential! Featuring heart, moustache, glasses a speech bubble and star shapes, these props will help you to create a fun set of photos that you’ll treasure for years to come! These are sure to be a hit at any New Year party! 1. Begin by downloading and printing your free template. Cut out the whole of speech bubble shape from gold glitter card. Next, cut a smaller speech bubble shape from black glitter card. 2. Place double-sided tape on the back of the black glitter card and begin to adhere it to the gold speech bubble shape. 3. Before the shapes are adhered fully together, sandwich a skewer between the two shapes. 4. Adhere Simply Creative Alphabet Stickers to the centre of the speech bubble. 5. Repeat the steps for the rest of the shapes on your free template for a full party prop selection! You’re now ready to party! How will you be using our free calendar printable? We’d LOVE to see, so don’t forget to #tcxmas2017 when uploading to social media and to share your makes in the Inspiration area.